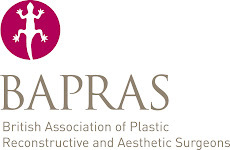 ePlasty is a open access journal of plastic surgery. It has been going a few years and has started to attract more articles. Check it out here. There have been many books written about the Guinea Pig Club and Sir Archibald McIndoe. Below is a selection. I am currently working my way through The Last Enemy. An Oxford GP at the Osler Club recommended 'I burned my fingers'. Just ordered it - £1.50 on Amazon. Bargin. I went to the Osler Club at the RCP last week expecting to hear Iain Hutchison speak on 'What is a surgeon in the 21st century?'. He didn't turn up and so Dr. Daniel Sokol stepped in. He gave an excellent talk on truth telling in medicine. Is it acceptable to lie to or deceive patients? The answer is: sometimes. For those of you unsure of when to deceive your patients he has published a very helpful flow chart in the BMJ! Check it out here. He presented some cases, one of which was surgical. I was the only surgeon in the room and seemed to take an opposing view everyone else. The average age of the audience was somewhere over 60 years which probably explained the paternalistic views of those present. Danial Sokol writes as 'Ethics Man' in the BMJ. A collection of his musings are available on his website. For those of you interested in the history of medicine the Osler Club is worth exploring. The website is terrible but the dinners are good. The Emergency Management of Severe Burns (EMSB) is an excellent and essential course for all plastic surgery trainees. More information about it can be found on the British Burn Association website. At the weekend I'm going to be going through the basics of burns surgery at the Undergraduate Plastic, Reconstructive and Aesthetic Surgery Conference at Imperial College. I think it is sold out but check the website. Other burns resources include Burnsurgery.org.